Greetings fellow appliqué enthusiasts! 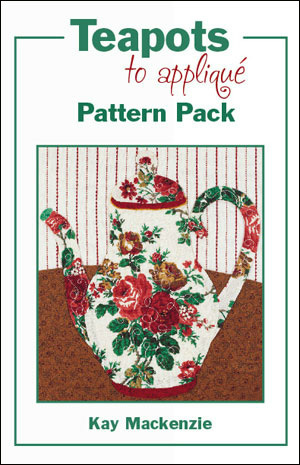 I’m planning a project this year appliquéing new blocks from my first collection of teapot designs. I’m kind of excited about it! When the top is done, it’ll be donated to a charitable kids’ quilt group in my guild, to use as a fundraiser for supplies. A few months ago I joined Instagram and have been having a wonderful time over there. I’ll be “insta-gating” a Teapot Appliqué-Along and posting photos of the new blocks once a week starting Sunday, February 4. If you’re on Instagram and want to follow along, the account is kaymacquilts. 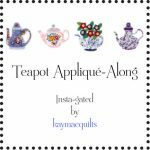 I posted all the info about the #teapotaal on December 29. Would love it if you joined in the fun, and spread the word! I’ll show the blocks here on the blog as well, so if you’re not on IG you’ll still see them. 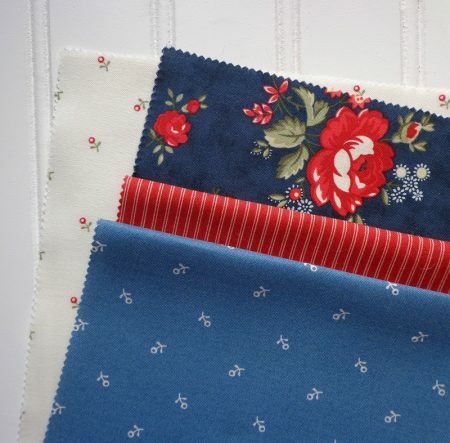 Here are the fabrics for my first teapot, from the Ann’s Arbor collection by Minick & Simpson for Moda.